Growing up in the Deep South, my life could not have been more opposite that of British lifestyle guru INDIA HICKS, but in reading India’s latest book ISLAND STYLE, I realized one universal truth: We may be born into different families and cultures, but we are more alike than different and finding shared experiences isn’t that difficult. Like most Southerners, India marries her heritage with her more modern, laid-back life while emphasizing the importance of the family kitchen, breezy porches and the hospitality of entertaining. I’d also add our shared love for beach life, as I grew up in a beach town that informs my lifestyle, the same way India’s life on Harbour Island in the Bahamas defines hers. As the daughter of design legend DAVID HICKS and Lady Pamela Hicks, India’s life growing up was filled with the pomp and circumstance of British royalty. 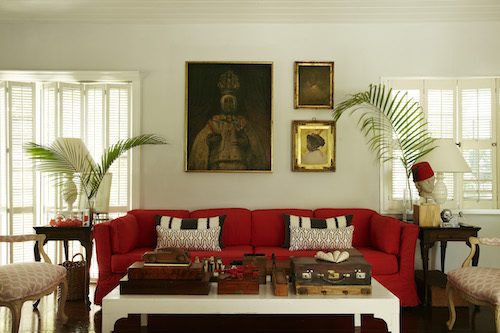 Today, that heritage and tradition manifests itself in India’s love for architecture, antiques and the many collections seen throughout her home HIBISCUS HILL, while her island style has developed over decades of trial and error and the influence of clear Bahamian seas, pink sands and island culture. 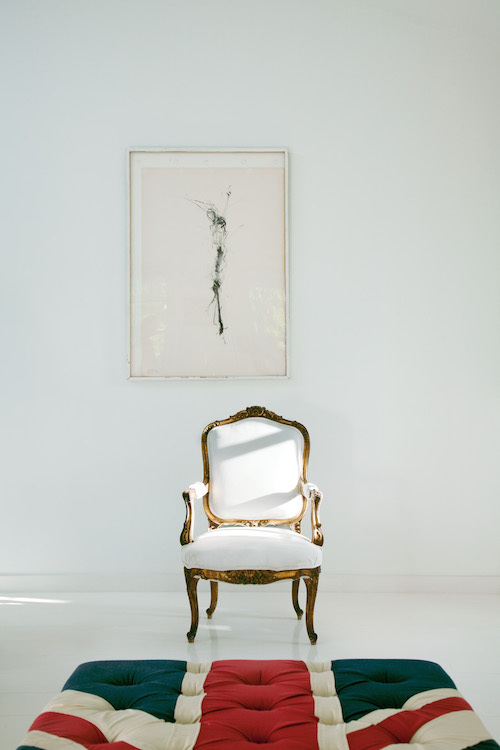 Like her father, India’s eye for detail is exceptional and using it to create a sanctuary for her family has clearly been a labor of love and in Island Style, she shares her decades-long journey in design discovery. India also introduces the idea of under-decorating as a way of maintaining the spirit of a place without over-doing its design. 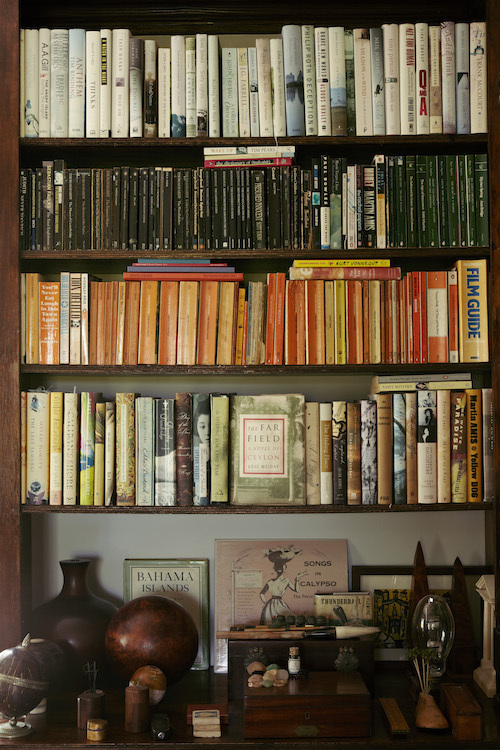 In essence what India and life partner, David Flint Wood, have created at Hibiscus Hill is a living history of their collected experiences on Harbour Island, and Island Style is a beautifully photographed monograph capturing their particular spirit of island living that I found both irresistible and inspiring. Hibiscus Hill’s guest house with balcony railing featuring X-form spindles. A 45-year old sofa covered in a simple red slipcover. 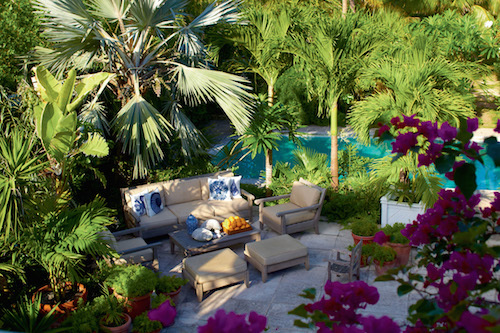 Hibiscus Hill’s main terrace shaded by palm trees. 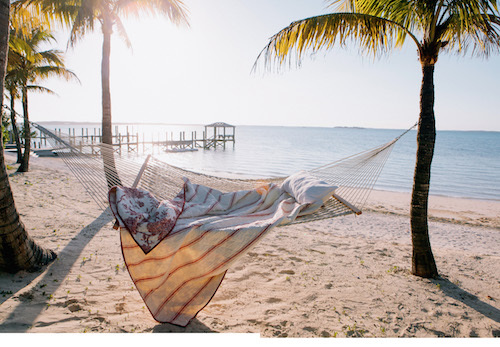 The essence of Bahamian life — a hammock on the beach. 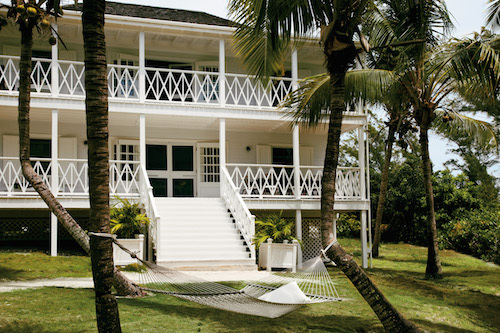 Editor’s Note: An advanced copy of India Hicks Island Style was provided by Rizzoli USA for this review.